I was thinking about how today would be a good day to go to the beach when the idea for this card came to me. 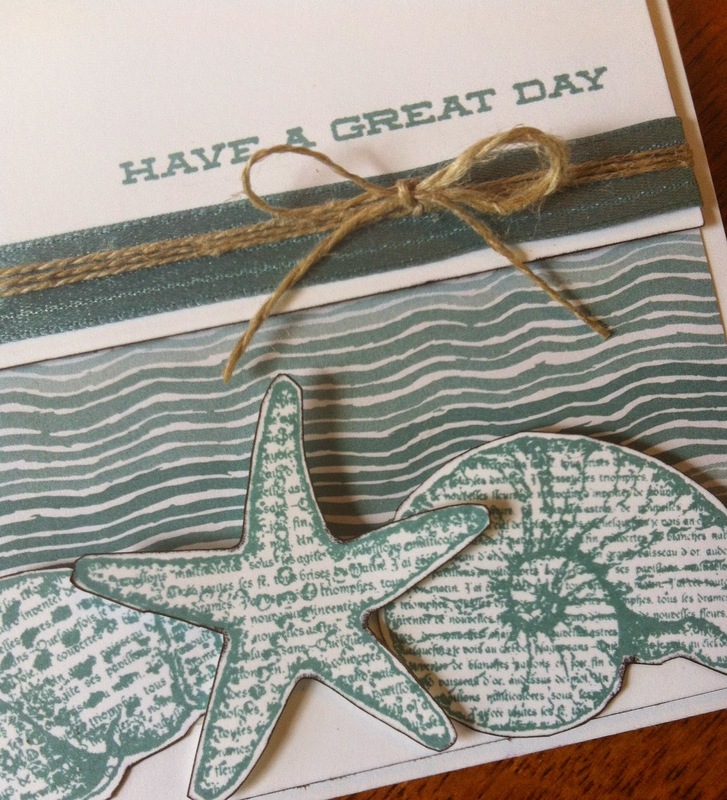 The panels with the sentiment and seashells are raised up above the DSP, which is attached to the card base. This was to give more sense of depth and to separate the shells more from the paper so it would look more like shells on a beach with the sea behind. I toyed with putting it all onto a Lost Lagoon card base, but decided that was too much of the same colour. I edge coloured all the cut pieces to give more definition. It's a meant as a masculine birthday card as there are birthday greetings inside. 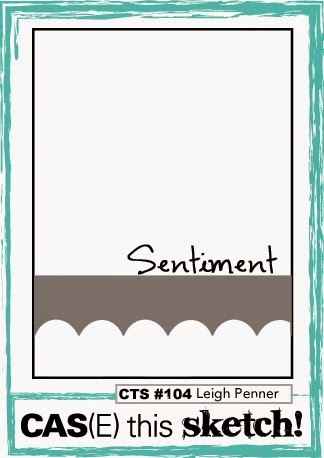 By the Seashore was the first stamp set I ever bought and I still use it lots -it's so versatile and gets good use on summer scrapbooking pages. Other: Lost Lagoon ribbon, Linen twine, Dimensionals to raise the white panels and the starfish. Early Espresso marker to colour cut edges, good scissors for the fussy cutting! This makes me want to go on a long seaside vacation! Thanks for playing at CAS(E) this sketch! Thanks for joining us at CTS! Your card is lovely! Great take on the sketch!